Membership is a unique opportunity to get your name in front of Connecticut agents. 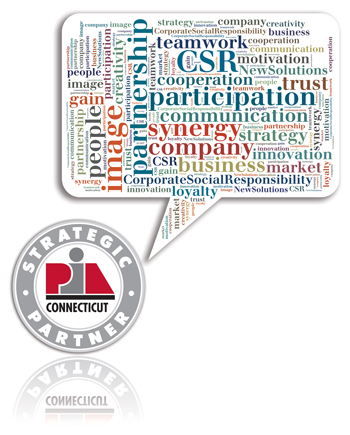 Now, you can expand your visability throughout the year by becoming a Strategic Partner. PIACT recognized your need to plan and budget your marketing strategy. So, in the spirit of partnership, we offer three Strategic Partner levels with increasing benefits and visibility — giving you a clear picture of your marketing dollars at work throughout the year. Standard company/associate membership still available.